Once Ontario's best hidden gem, it seems the secret is out for the Ice Skating Trail at Arrowhead Provincial Park. In recent years, this unique winter adventure experience has been on the lips of every outdoor enthusiast, but the truth is, it has been a beloved attraction for Muskoka locals since 2012. 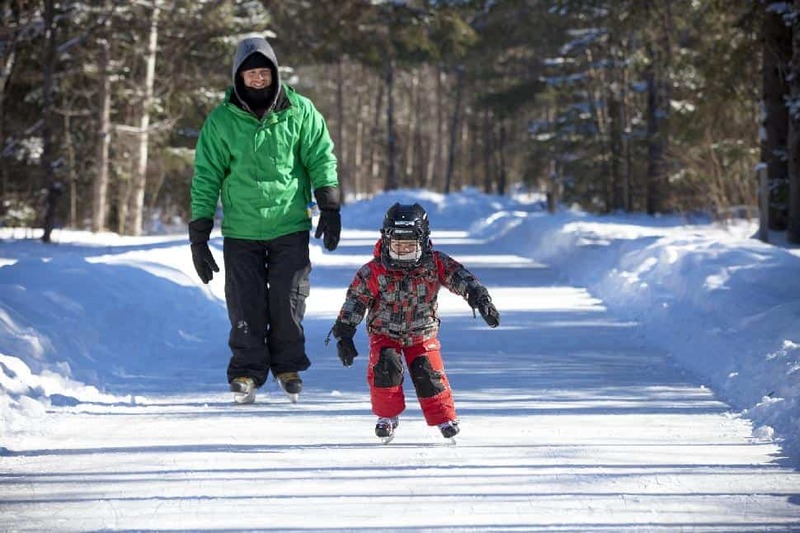 At 1.3 kilometers long, Arrowhead Provincial Park's Ice Skating Trail holds the record for the longest man-made skating trail in Canada. Set amid towers of fresh powder and running through a slice of enchanting snow-dusted forest, the trail provides the perfect playground for families. It also makes for a romantic skate, hand-in-hand, against a picturesque backdrop. 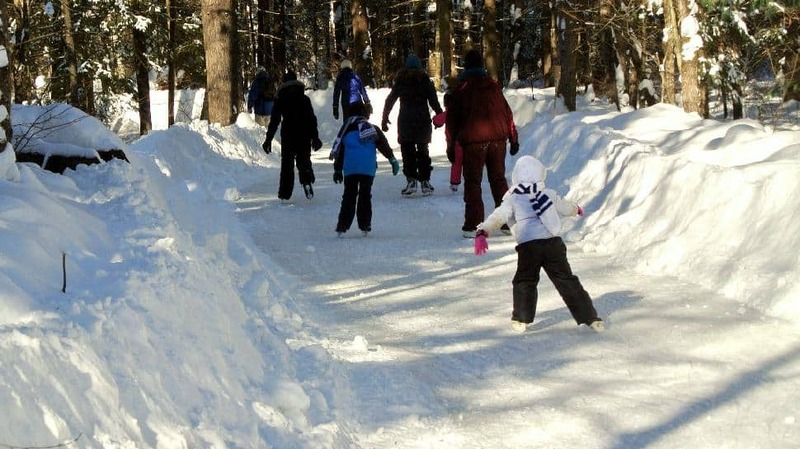 The opening of the trail is weather dependent and as long as the ice holds, Fire & Ice skate nights are held Saturday evenings in January and February. As if skating through the forest during the day wasn't awe-inspiring enough, visiting after dark proves to be simply magical. Glide through the forest following the tiki torch illuminated trail below a star-studded night sky; it's bound to take your breath away. With the ice of the trail usually lasting until the middle of March, there is still plenty of time this winter to plan a trip. A mid-week skate is best for those who want a little more elbow room and better ice conditions. For those looking to make a day of it, Arrowhead Provincial Park can provide. 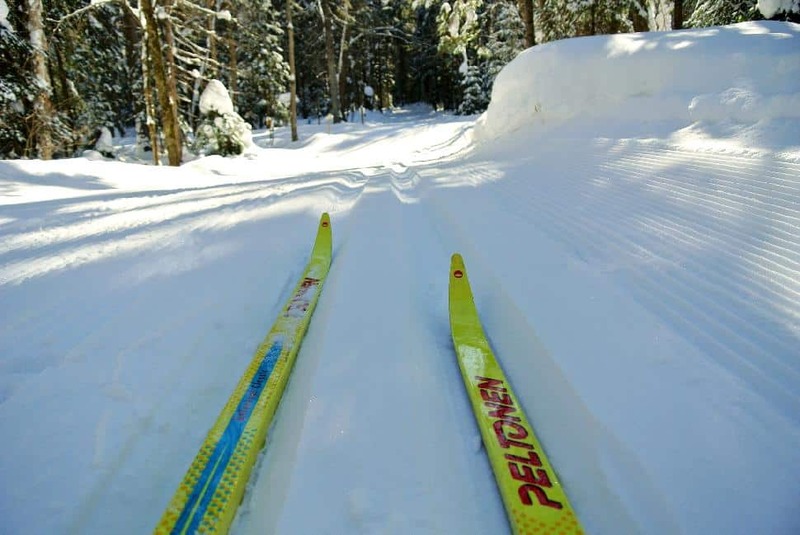 The park has long been a favorite winter spot for locals, but is also renowned as one of the top cross country ski destinations in Ontario. With 28 kilometers of classic ski trails and 16 kilometers of skate ski trails there is no shortage of winter sport action. No gear? No problem. Arrowhead Provincial Park provides snowshoe, ski, and snowboard rentals, as well as tubes for the tube hill. Heating stations with wood burning stoves are available to chilled skaters and are perfect for taking cocoa breaks. February hours: 11 a.m. - 5:30 p.m.
Find outdoor adventure and serene landscapes in the wide-open slopes & scenic trails of New Brunswick.